Journeys Canada is offering you an awesome deal available now. When you shop the sale section, you can save up to 75% off on many styles by reputable brands such as Timberland, Birkenstock, and UGG. This offer is valid for a limited time only, while quantities last. 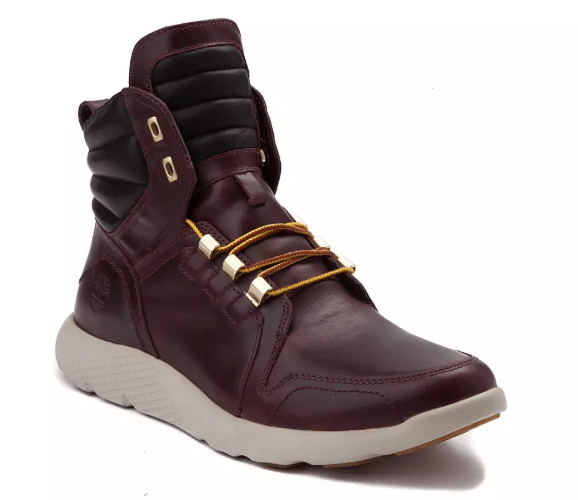 This Men’s Timberland Flyroam Boot is on sale for only $59.99. You’re saving $90.00 from the original price of $149.99. The new Flyroam Hiker Boot from Timberland combines rugged durability with athletic appeal for a versatile silhouette that’s perfect for tackling your next big adventure!